Is there any lore database? I ask because with Sotha and Melan visibly having wonderfully put together worlds, I'm curious if there's anywhere I can look at to find visible shared concepts, like the inventor's guild. This is ignoring how many shared name mentions I've seen, something I'm a huge fan of. Edited by V-Man339, 04 October 2016 - 11:38 PM. The wiki Universe page is designed to be as open ended as possible to allow mappers the most flexibility in making maps they want within our world. I think there was a decision, which I agree with, that that wiki section shouldn't be setting down official canon lore except for the basics (which is maybe all you want), since it might unintentionally limit mappers. Its really mappers' jobs to be creating all the rich details of the world. Anyway, that's not the wiki's job and there isn't people with time to do it even if it were. What I think would be best is if there were a separate either wiki section managed by a fan or a fan wiki site which compiled all the lore from various FMs to make an archive of canon history & lore. It'd be best IMO if a fan took on that job, since I think that's the kind of things fans are good at doing and it needs to be somebody really dedicated to the task and the game & its world. We've seen these kinds of people doing it for the Thief games. And the official team isn't necessarily any more expert than an observant fan that plays the FMs and loves the game. Any volunteers? I already consider myself the closer to one who documents the missions you make more than anything else, as I see it this would merely be an extension of as much. That said I don't really have a clue where I would start were I to begin doing this. Entirely different wiki, separate website, what would the best protocol be here, I wonder? The easiest approach is you just start your own wiki and go at it. It's like blogging. There are plenty of free services, so you don't have to host it. You just sign up for a wiki and start making one. And then give us the link & start a thread so we can discuss it. Here's a list of wiki services to compare & pick one. This is easy in the sense you have total control & can do what you want, how you want. Edit. I guess Wikia is the obvious choice looking at it. An alternative is we ask the Admin nicely to get you official TDM wiki access, and then you create a set of wiki pages on "FM Lore: [Topic]." If we go that route, I think it'd be good if you produced something to show your bona fides and that you're really committed to doing decent quality work, like making a sample article on any topic in a Word Document or whatever to show to the Admin. It's just if it goes on our official wiki, then it's technically subject to changes by others & meddling by the Admin (which may be a good or bad thing depending on your perspective; good by sharing the workload, bad if it descends into Canon wars or the admin doesn't like the direction something goes; but if you give other people access to your own wiki, other people can contribute to that too). There's also something to be said for a thing being a fan site. I'd love to have more fan sites on us, because then it shows that fans are taking ownership of our game & it's not always a top-down official thing. But maybe the Admin are super cool about wiki access; a lot of people contribute a lot of different things to the wiki. Anyway, the point is the official wiki route may come with some strings attached, whereas with the personal wiki approach, you have an entirely free hand. And maybe if it turns out later we can make it or parts of it official after some discussion, and that's easier to do too. So on balance, my thinking is you just sign up for one of those free wiki services and just start making the thing at your own pace & make a thread for it so we can have discussion. Then we can talk about things like potential official status when we can see what it looks like. But we can have the Admin add their opinion too. You can also PM individual authors to get their take on the world they dropped their mission into. And think it apples to the TDM world but it would require an organized (short) synopsis of different missions and glossary of names, too. I'm not sure if there is a list of mission types (horror, mansion, etc.) but it could describe this aspect as well. A good place to start would be a bigger and more detailed map of universe than this, especially as we have moors now. and if you think it should be as vague as it is - it still can if a scale of new places will be marked as a "point" with a number, the distance between Bridgeport and Braeden could be crammed with dozens of new locations. I think it just will be more impactful for imagination, and there is still a place for a new solitary location that no one have stumbled yet (just think Morrowind map - as tangible as it is, and you can travel tenth time between two cities and discover a new tomb). You could even make a really blurred map of a whole world with dot-like links to images or texts, just like google maps. Or make a few world maps contradicting each other, and make a dispute about accuracy of places and events an ingame subject of controversy. This video works just as well. TDM's setting is clearly an alternate Earth. All the larger maps and globes in the game are based on real world geography. The descriptions on the wiki: "The Dark Mod world can be viewed as an alternate, low fantasy version of our own" and "Several missions feature maps with real-world geography, placing Bridgeport on the coast of Southern Europe" support this. This makes it much easier for players to imagine what the world looks like in broad strokes. The fact that this idea receives some backlash is why, as the wiki says, "exactly how closely TDM's geography matches that of our own has been left intentionally vague." This map, which appears in numerous missions, places Bridgeport in southern France. Menoa is the Iberian Peninsula. The Moors, described as living "Across the sea to the south [on] a much hotter continent" obviously come from Africa. I wrote out a pretty elaborate world history for my campaign, and a rough sketched map, which flips the real world somewhat. Bridgeport was the equivalent of Constantinople, Sancta Civitas was the equivalent of Rome but to the east, Menoa to the West was Arabian/Turkish with the capital being a Baghdad equivalent (this was before Moors were a thing, but when Moors did come online, it's easy for me to still fit them in as an equivalent of North African pirates to the south), and just aside Menoa was Pakdemani, equivalent of Persia (The Pure Folk in Farsi; I didn't even notice that Pakistan means Land of the Pure in Farsi; so I wasn't the first to have that idea! ), from which the main character's family came, although he was fourth generation or so from Bridgeport. It's not canon, but it's close enough to re-interpret a lot of canon to fit in it. For one, since neither official canon or my narrative are really the equivalent of the real world things, there's wiggle room there to make things fit. In my world, Menoa and the Holy Empire have sister religions that play off of medieval Catholicism and Islam, but they still have their independent narratives in the game world, and I don't think much canon talks about the religion of Menoa (does it?). Another example of a change/reconciliation is the way my campaign treats Inventors as a much older line, which isn't how the official line goes (in which inventors are a completely new faction, like mechanists); although I can still reconcile them because what are called "inventors" are like the contemporary and "new" public face of what had been an older line all along, like the way Templars or Masons kept getting reinvented over time. But my real feeling is mappers should feel free to branch out and reinvent a lot of concepts to their own ends. In that way it's like comics, like Batman having some core features but continually reinvented by different authors. That's my feeling towards TDM. There's "canon" canon among some FMs that care about that kind of thing, and then there's loose not-exactly-canon but still inside the family like my campaign world. Both are valid & valued IMO. I'm really tempted to code some sort of rudimentary prone in and create a Snake Eater style nature-heavy jungle themed map with heavy use of foliage cover but I'd only really attempt that after making a more traditional styled map. Funny, I always imagined Bridgeport to be part of England (sort of an alternative London), probably because the mod is in english Anyways, I am with Springs. It's good to keep things a bit vague. Mappers get a rough scenario which they can then fill with their own lore if they like, or they build upon the lore other fm authors have established. I think that is a pretty good way to go. In fact, I want to expand it again today. I've noticed a few new towns in some missions, so I will definitely reference them. In my own planned series of missions, I intend to reference plenty of the established towns and cities, even the more obscure ones. Edited by Petike the Taffer, 12 October 2018 - 06:05 AM. I always imagined everything in the TDM universe would be pretty unique, not resembling anything in the real world. Which is exactly why we leave it vague. Well, it is sort of a "historical fantasy" type of thing, mixed in with a little alternate history. 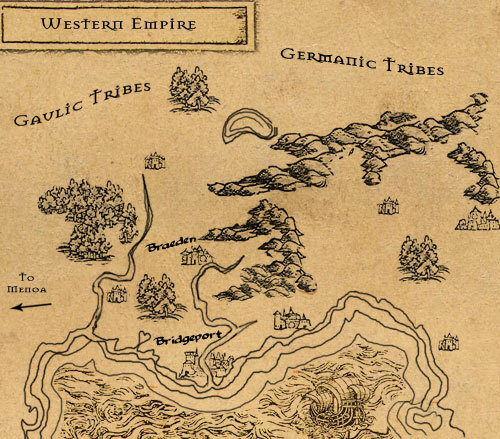 The "alternate Europe, with fantasy elements" concept isn't that much different to what writers like Guy Gavriel Kay do in their fantasy books (in his case, low-fantasy analogues of specific real world regions in specific eras). As Springheel said above, while we do have a basis or backstory for the setting at large, you will mostly not notice it in the individual stories of the missions, because that degree of backstory (whether geographic, historical or fantastical) isn't the main focus of the game and its missions. In this sense, while it is different to Thief, it's also in the spirit of Thief. Small, mundane, very localised stories. Often with the feel of an epic, but without the set dressing of an epic or the intention of telling an epic.